At this year’s Computex, ASUS unveiled its selfie-centric ZenFone Selfie smartphone, the stylus-toting ZenPad 8 series tablets, and its latest smartwatch, the ZenWatch 2. In addition, the brand has also introduced new laptops and AIO (all in one) computers at the same event. The latest portables from the brand include the ASUS EeeBook E403SA and Transformer Book T100HA, while the AIO is called the Zen AIO Z240. The ASUS EeeBook E403SA comes encased in a premium aluminium body. The device offers a 14-inch display and is powered by an Intel Pentium processor. It offers 2GB of RAM and 32GB of eMMC hard disk drive storage. The ASUS Transformer Book T100HA runs Windows 10, and has a two-in-one design, boasting a full tablet and laptop experience. It sports a 10.1-inch display bearing a resolution of 1,280 x 800 pixels. The notebook is powered by a quad-core Intel Atom Cherry Trail X5 processor, aided by 4GB of RAM. It delivers 14 hours of battery life, a reversible USB Type-C connector, Cortana voice assistant, and comes in silk white, tin grey, aqua blue, and rouge pink variants with metallic finish. The ASUS Zen AIO Z240 sports a solid aluminium body. 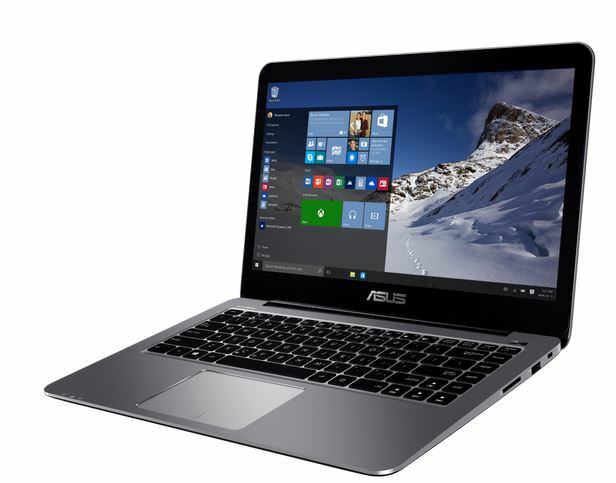 It is powered by a quad-core Intel Core i7 processor and features USB 3.1 Type-C connectors, Gen 3 X 4SSD, Cortana voice assistant, biometric login, 3D motion-control gaming, and Intel’s RealSense 3D camera technology.The ASUS EeeBook E403SA, Transformer Book T100HA, and Zen AIO Z240 will be available later this summer. Prices of these devices will be announced at a later date too.